This is a room in the oldest wooden schoolhouse in the United States. There are various pieces of furniture on display here. There is a ceramic wash basin and pitcher, decorated with roses, on a table. 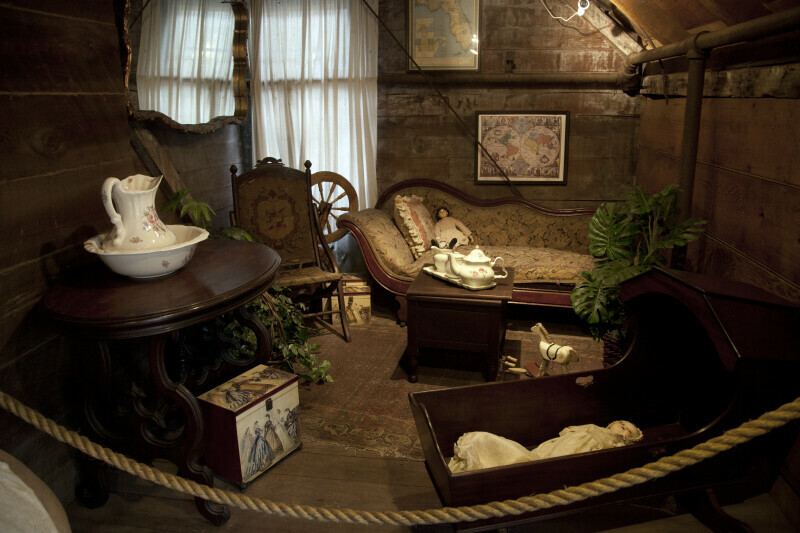 There are dolls, and other toys in this room. There is a spinning wheel near the window.